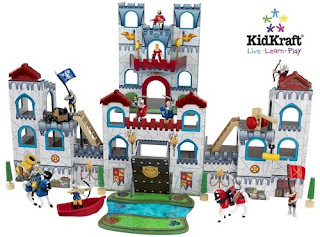 The Fun Explorers Castle Play Set by Kidkraft lets kids pretend they are truly living in medieval times. 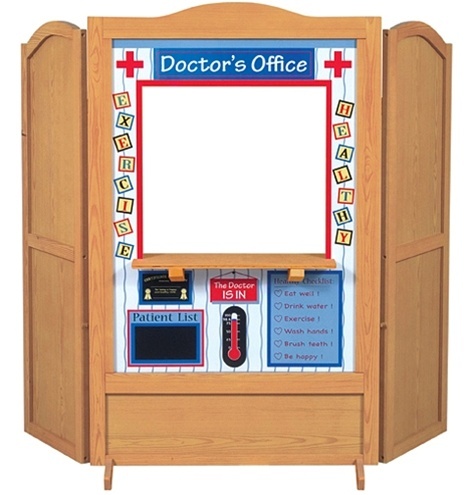 Dimensions: 29" x 26" x 15"
Is your child complaining of a sore throat? Don’t be too quick to assume it’s a virus. A new study shows that a child’s sore throat is due to a Strep infection more commonly than previously thought. Even some healthy children without symptoms can be carriers of Strep bacteria. A new study published in the journal Pediatrics showed that the number of children who are carriers of Strep is surprisingly high. In fact, one out of eight children, without any sore throat symptoms, harbors the Group A Strep bacteria that causes Strep throat. What about kids who have a sore throat? How likely is it to be Strep? According to meta-analysis of twenty-nine different studies, the chance of a child’s sore throat being Strep is about one out of three. The risk is slightly lower in children under the age of five - with about a one in four chance of having Strep. What are Typical Strep Throat Symptoms in Kids? A child with Strep throat may experience a fever, difficulty swallowing, muscle aches, swollen lymph nodes, headache, a rash, severe throat pain, and fatigue. Their temperature can range from low-grade to quite high, depending on the age of the child. A child doesn’t have to have all of these symptoms to have Strep throat – and the symptoms can be difficult to distinguish from those of a viral sore throat. Untreated Strep throat can lead to such serious complications as rheumatic fever, meningitis, kidney problems, toxic shock syndrome, and pneumonia. These complications can be prevented with prompt antibiotic treatment, which is the main reason why it’s important to treat sore throats that are due to Strep. The only way to know for sure whether a child has Strep throat is to get a throat culture or have a doctor run a rapid Strep test in the office. The rapid Strep test is quicker, but it can miss up to thirty percent of Strep throats. Strep Throat Symptoms in Kids: The Bottom Line? This study reaffirms the importance of taking Strep throat symptoms in kids seriously. The chance of a child with a sore throat having Strep is relatively high, and even though complications are rare, the potential still exists. Don’t take a chance with your child’s health. If your child complains of a sore throat, get him checked by a doctor. Medscape.com. "More Than a Third of Kids With Sore Throat Likely Have Strep: Study"
Our Homer Baseball Rocker by Rockabye will be a sure hit with your little All Star. 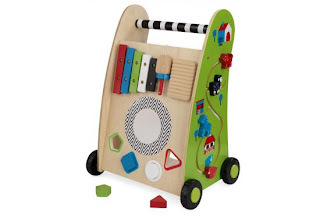 This adorable rocker now comes with an educational component. Located on the back of the hat, baby will find 4 buttons that activate original songs that teach ABC’s, 1-10, colors, shapes and more. A wonderful, heirloom quality Rockabye rocker, the musical homer baseball rocker has a natural wooden base, easy grip wooden handles and a soft, sturdy seat. Watch baby giggle as he rocks to original songs that teach. 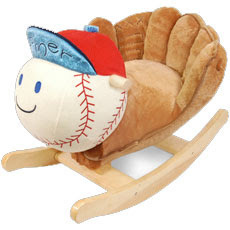 The Rockabye Homer Baseball Rocker is sure to please baby as well as mom and dad! We're gearing up for the holidays at A Kid Place and will be adding some really great products to our already awesome selection of children's products. We will keep everyone updated here on our blog and on our Facebook and Twitter pages as we add these items. To find us on facebook and twitter, simply scroll down the left navigation menu here on this page and click on the facebook and twitter logos. 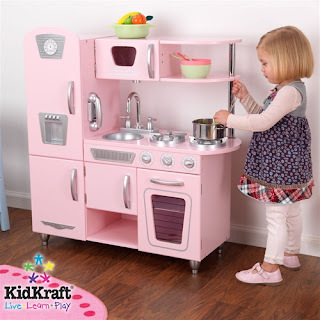 Kidkraft wins again! 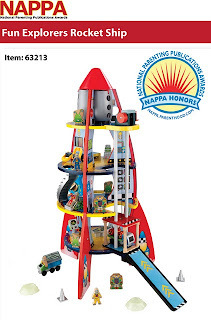 NAPPA (National Parenting Publications Awards) has awarded Kidkraft's Fun Explorers Rocket Ship an Honors winner in the 2010 NAPPA Children's Products competition. The deluxe Kidkraft Rocket Ship Set lets kids explore outer space without even leaving the house. 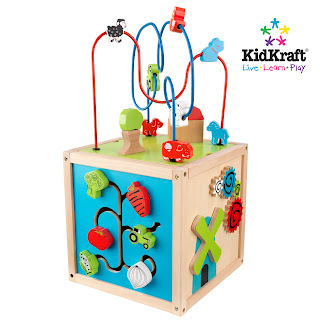 Young astronauts will love imagining themselves flying through space, meeting aliens and using the ship’s special computers to do important research with the Kidkraft Rocket Ship Set. • Over 25 colorful pieces, including astronauts, robots and even aliens! 23.74" x 15.67" x 29.21", 25 Lbs. Click on picture to be taken to main site where you can view a video of this awesome rocket ship. As the days turn cooler, leaves are changing color and pumpkins and chrysanthemums appear. Fall is an exciting time for kids, and there is no better way to celebrate the change of seasons than with fun activities that the whole family can enjoy. These activities are great for kids of all ages, and best of all, they don't cost anything. You can make a scarecrow to decorate your front porch with items you have around the house. Get together some unwanted clothing - an old pair of jeans, a flannel shirt, and last year's winter boots work great. Tie off the bottoms of the pant legs and sleeves with rubber bands; rake up a big pile of leaves, and stuff them inside the clothes. Position the pants as though they are sitting, then place the stuffed shirt on top. Tuck the pant legs into the boots, and set a large pumpkin on top of the shirt collar for a head - paint a face on with dark colored paints if you like. An old hat placed on the pumpkin will top off your scarecrow. This is a great way to get kids to use their imaginations and come up with unique Halloween costumes; it can also be used as a Halloween party game. Go through your closets and find a pile of clothes you can use for your game. Old dresses and suit jackets are perfect for this activity. Accessories like belts, ties, bandannas and hats are also needed; non-allergenic makeup can add even more fun. Have each person take turns creating a costume, and let everyone try to guess who or what they are. Take a walk and ask everyone to pick up the prettiest leaves they can find. Back indoors, choose a work surface and provide crayons and sheets of white paper. Have each child place their favorite leave under the paper, then rub over the paper with crayons to bring out the leaf design. Cut out the leaf shapes once they are completed, and you have a beautiful memento of autumn. Remember, the best things in life are free. As they get older, your kids will not remember how much you spent on a gift or a trip to the movies, but they will always remember the time they spend with you. Doing things together, like these entertaining fall activities, will give them happy memories to last a lifetime. Bonnie Lim owns and operates the company "A Kid Place" which specializes in Children's Furniture and Educational Toys. 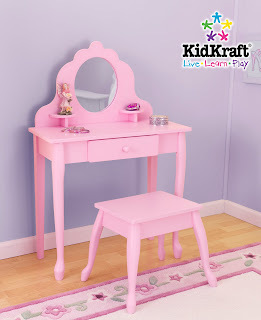 Feel free to visit at www.akidplace.com to view all this great company has to offer. 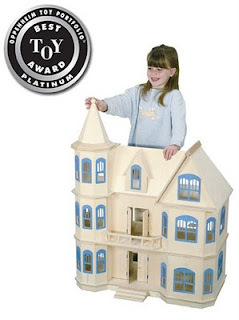 Guidecraft's Victorian Dollhouse has won the Oppenheim Toy Portfolio Platinum Award. This architectural beauty features three floors, six spacious rooms, oversize attic, inviting balconies, two pairs of swinging french doors and two spiral staircases. 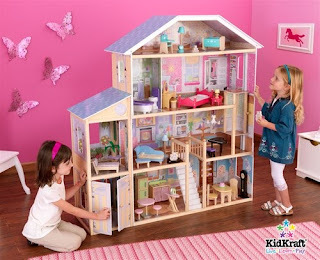 Constructed of 1/4" birch plywood, the Guidecraft Victorian Dollhouse is built to take the demands of schools and day-care centers. Scale is 1" to 1". Wood Panels can be stained or painted. Buying now for the holidays is recommended as this tends to sell out early. There's no doubt about it - as much fun as it is to prepare for the birth of a new baby, it is also expensive! There are so many things your little one will need - from bottles to nursery furniture, tiny clothing and car seats. One of the most important purchases you will make, however, is your baby stroller. Whether you are out shopping or just taking your child for a long walk, you will rely on your stroller nearly every day. Fortunately, you do not need to spend hundreds of dollars on an expensive, bulky stroller - the Keekaroo Karoo umbrella stroller will meet all of your needs, from the time your baby is born. The Karoo umbrella stroller is designed to accommodate newborns all the way up to 55 pounds. Keekaroo strollers are compact, light (weighing only about 16 pounds), and come with a one-hand fold feature for easy opening or collapsing. This umbrella stroller is perfect for stowing in the trunk for long trips to grandma's or a run to the supermarket. The Karoo stroller comes with a 3 position adjustable backrest for perfect support, from the smallest infant to more active toddlers. Unlike many umbrella strollers, the Keekaroo Karoo stroller comes with a one touch braking system for added safety. The Keekaroo stroller features removable, hand-washable upholstery for easy cleanup. The Karoo stroller has been JPMA certified by the Juvenile Products Manufacturers Association, a national trade organization which inspects infants' and children's products for safety. You can find the Keekaroo Karoo Umbrella Stroller, along with lots of other great Keekaroo products, at affordable prices at http://www.akidplace.com. Look for great deals on everything you need for your new baby or toddler - free shipping available on many items. Guidecraft’s awesome 4 in 1 Dramatic Play Theater has been awarded with the 2010 Kids Product of the Year award by Creative Child Magazine. 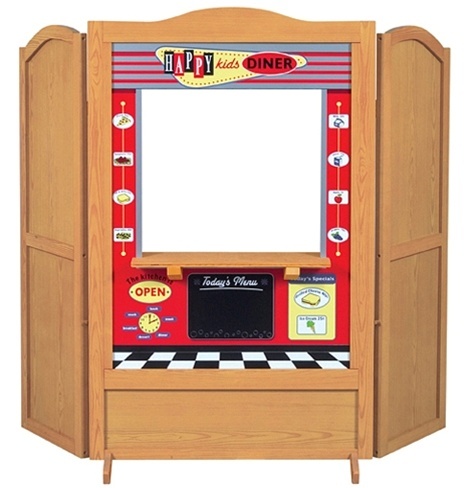 The Guidecraft 4 in 1 dramatic play theater has a honey-oak stained wood theater frame which holds interchangeable panels that quickly and easily create a different dramatic play world. 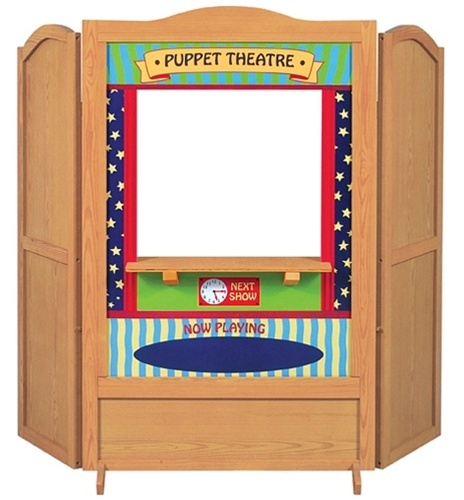 Theater comes with two separate panels with different themes on either side to set the stage. Simply slide one of the panels into the grooves in the back of the theater and lock into place, and voila, kids have a brand new setting to inspire great, educational pretend play. 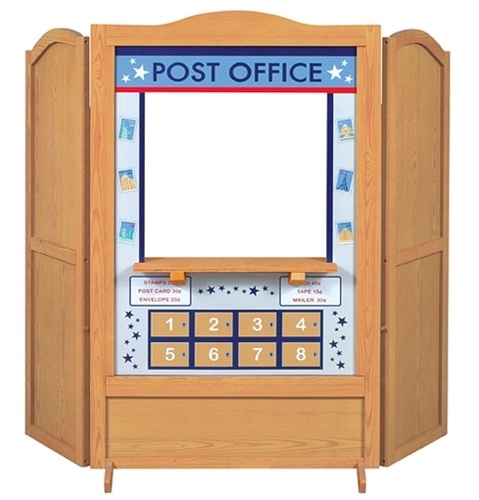 Themes include: Post Office, Puppet Theater, Doctor’s Office and Diner. 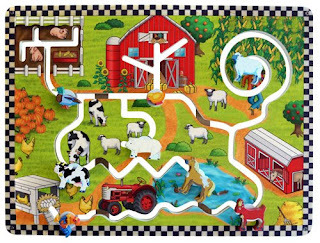 Kids will delight in the colorful details of each theme and explore their creative side with hours of constructive dramatic play. Now available Here at A Kid Place. We strongly recommend ordering this one before the holiday rush starts. 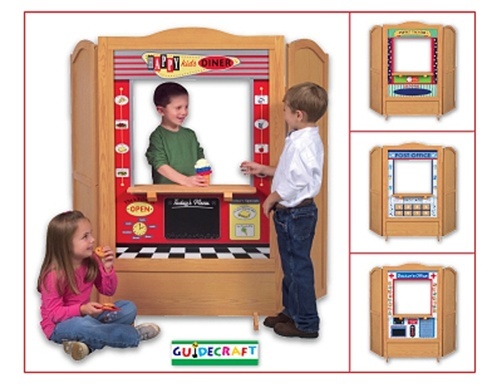 Congratulations to Guidecraft on winning the 2010 Oppenheim Toy Portfolio Gold Award! Guidecraft’s Nordic Table & Stool set was just honored with this prestigious award. With it’s simplistic design and beauty, with natural bent wood contours and smooth edges, the Guidecraft Nordic Table and Chairs set is the perfect place for kids to sit for a while and create, snack, read, and more. The smooth, natural finish of Guidecraft’s Nordic Table and Stool set will blend in with any environment. This great set includes one table and four stools. 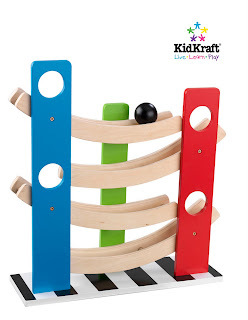 A Kid Place also carries this wonderful set with red, yellow, blue and green stools.